TONY JONES: Can you have a debate on population without a debate on immigration numbers? 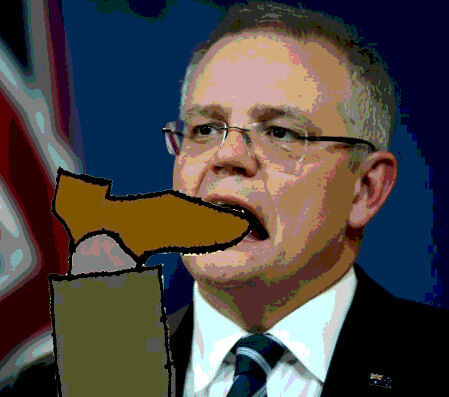 SCOTT MORRISON: Well of course you can’t… Two thirds of the increase in population is coming through immigration and so if that’s not part of the debate then I don’t know what these guys are going on about. You’ve gotta focus on the things that you can address. Now they can talk about all these other issues, they’re all really important, but those things are not going to solve themselves in the next term of government. The Government says it is not about immigration and they want to put out this false hope that they can move all these people around the country differently. Well those who are coming into the country, less than 10 per cent of them currently go out and settle in regional areas and rural areas. So to hold out some false hope that this problem’s going to be solved because a Population Minister is going to fantastically move people around like has never been done before in our history, is I think unfair to the Australian people to suggest that that is realistic option, certainly in the short or medium term. Long term I think there are still real doubts. It holds out unrealistic promises that all of this can be turned around by everybody moving to regional areas. We simply know, through centuries of migration experience, that that simply isn’t how it happens. Are you confused? Well you should be, because these interviews were done in 2010/2011 when the former Gillard Labor Government was also spruiking a ‘migrants to the bush’ policy to relieve population pressures in the major cities. Fast forward to 2018 and Australia’s permanent migrant program is just as big as then, but even more concentrated than ever into Sydney and Melbourne, which received 86% of migrants last financial year. 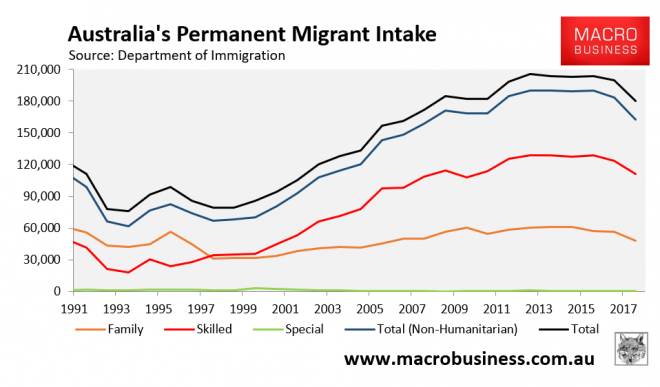 Department of Home Affairs figures… show non-regional skilled migration visas have risen every year under the Coalition, while those dedicated to the regions dropped from a high of 20,510 in 2012-13 to 10,198 under the Turnbull government in 2016-17.